We used to be tougher people. I like looking at old movies, books and pictures to get a feel for how things were. It is hard to get rid of our own lifestyles in our head and put ourselves in earlier times. In 1893 the Industrial Revolution was well under way, America was connected by railroads across the continent, the Civil War had ended 28 years earlier, so it was the last generation’s war. Oil, steel, and the Industrial barons were on the scene and big cities sprung up with hazardous conditions. Still, you wore proper outfits. Princeton, an Ivy league school of prestige, even then, was where gentlemen went to become the leaders and even Presidents of tomorrow. But we were not a people who settled our quarrels through attorneys or played video games. A man was expected to fight and take his licks. The following is a picture of college students following a Freshman vs. Sophomore snowball fight. 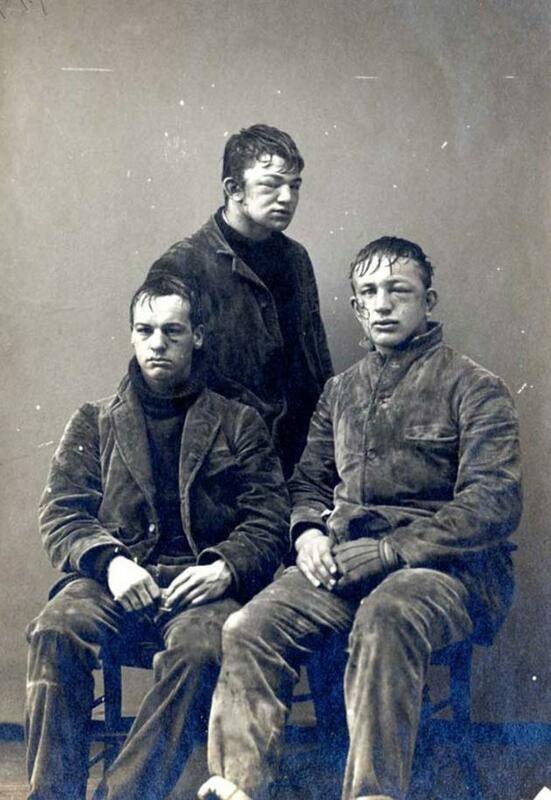 It is remarkable to me because if you saw this picture today on TV with the caption – Princeton students after snowball fight – imagine the lawsuits, the TV coverage, the outrage, etc. Back then, it was a picture they probably kept and showed their families with a chuckle.